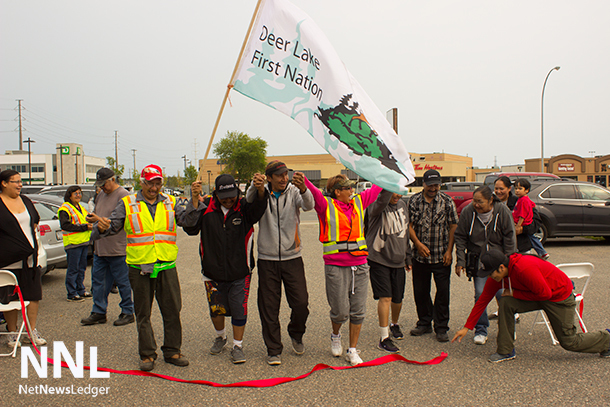 THUNDER BAY – Deer Lake First Nation walkers Eric Nothing, Mark Meekis, Donna Meekis, Jocelyn Nothing and Eva Nothing have completed a long walk. The Walkers travelled from Thunder Bay to Winnipeg and back raising money for a dialysis machine for Deer Lake. It was a journey of over a million steps, 877 kilometres, and lots of sore muscles and aches and pains. But all of that faded to smiles and tears as a part of this emotional journey came to an end. The walk has been successful. “We did it all for you, for the community,” said Marcus Meekis, speaking on behalf of the Walkers. The efforts of the youth have not gone unnoticed. 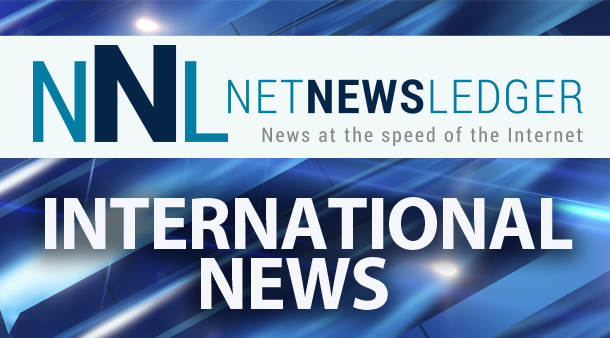 Their efforts were shared by NetNewsLedger with the Toronto Netralya Lions Club. That led to discussions between Sandy Heeralal-Judhan, the Region 7 Chair that helped lead to an agreement to supply a machine to Deer Lake First Nation. MaryEllen Thomas from Northstar Air shares the news that the Toronto Netralya Lions Club is stepping up to help in Deer Lake. Northstar Air has been quietly but very busy behind the scenes helping the Deer Lake Walkers. Deer Lake First Nation is one of the Northstar Air community partners. Sandy Heeralal-Judhan Region 7 Chair, stated, “Through our partnerships with other organizations we have located a dialysis machine. Our Lions Club would be pleased to donate this machine to Deer Lake First Nation”. “In order for this service to be implemented successfully in its full capacity we need to look at a few important factors. A location has to be established, stationary or mobile. Clean water must be available on a continuous basis. A supply of saline solution must be on site. Trained technicians must be available on site and on call. “Toronto Toronto Netralya Lions Club are offering our services to assist your community in obtaining your dialysis machine and assisting with the operation of the unit”. 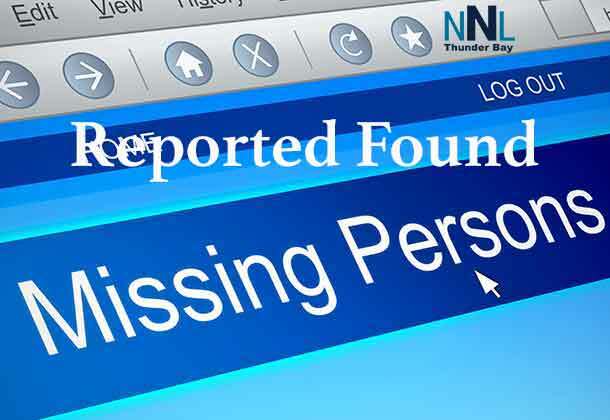 The Toronto Netralya Lions Club have become dedicated helpers in the North, with Mishkeegogaming First Nation and now Deer Lake First Nation. 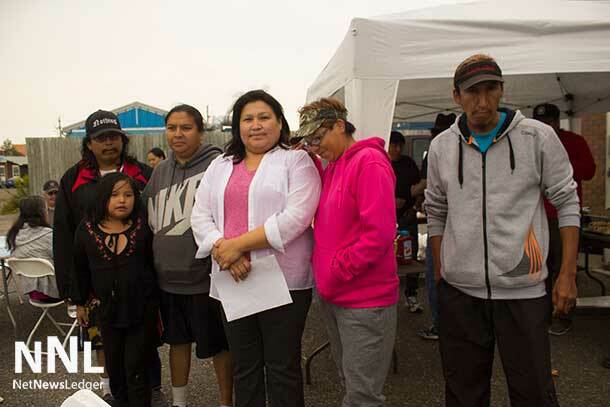 “We must pause to commend the dedicated walkers from Deer Lake First Nation. 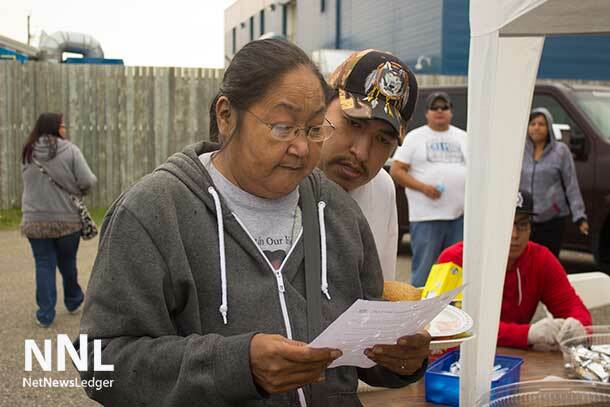 We acknowledge their determination to insist on the health of their community and for raising awareness about the health needs of all First Nations. I want to personally thank them for speaking about the health inequities that exist in the country for our people,” shared Ontario Regional Chief, Isadore Day, Wiindawtegowinini. “Congratulations to the Deer Lake Walkers and North Star Air was proud to support and sponsor this very important cause for this community. This is a prime example of how working together we can accomplish amazing things and a very special thanks to the Toronto Netralya Lions Club (TNLC) for the donation of a dialysis machine and to NetNewsLedger’s involvement,” commented MaryEllen Thomas of Northstar Air. 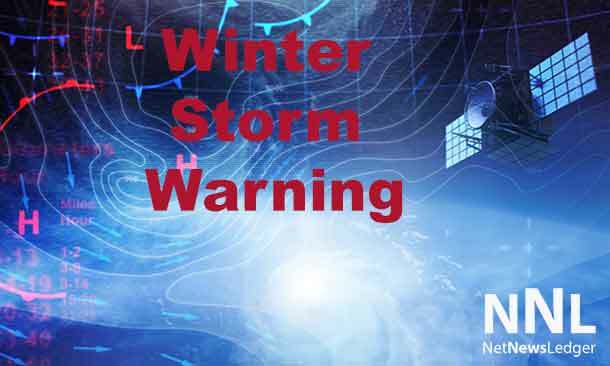 “We report on a lot of what is happening across the North,” commented James Murray from NetNewsLedger. “Having the opportunity to help make a positive difference in the communities we report on is very special, and to see how it makes a change possible is very humbling. The real credit here goes to Deer Lake and the Deer Lake Walkers, along with the Toronto Netralya Lions Club for their amazing support”. Nishnawbe Aski Nation (NAN) Grand Chief Alvin Fiddler expressed congratulations to a group of walkers from Deer Lake First Nation who are raising money to purchase a dialysis machine for their remote community. 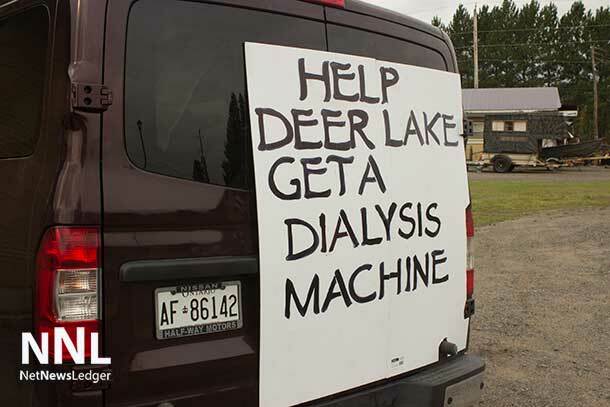 Walk for a Dialysis Machine walkers Eric Nothing, Mark Meekis, Donna Meekis, Jocelyn Nothing and Eva Nothing travelled from Deer Lake First Nation to begin their walk from Red Lake located approximately 550 kilometres northwest of Thunder Bay. They started walking on August 10, 2015 and have made their way across western Ontario into Manitoba to raise awareness and funding to purchase a dialysis machine for their First Nation. The journey continues. “If you sit around and think about it then nothing will happen. You just have to get up and do it”, concluded Mark Meekis, one of the Deer Lake Walkers.